Green transformational leadership has been identified as the most effective leadership style where the leader seeks to change the status quo by transforming the organization and also considers achieving environmental goals and inspiring followers to perform beyond expected levels of environmental performance. Drawing insights from the literature on transformational leadership, this chapter examines the influence of green transformational leadership on organizational behavior effectiveness and environmental sustainability. This chapter submits that organizations should be moving towards green innovation by formulating policies and embarking on strategies to meet customers' demands and satisfy environmental needs in the marketplace. Therefore, organizations should consider going green in all they do as this will also have a tremendous influence on the employees' green self-efficacy and impact on the society at large. The chapter concludes that organizational behavior effectiveness in recent times requires responsible business practices or solutions from those in leadership. Green transformational leadership is deemed as crucial element to increase the green performance of organizations, green transformational leadership empowers employees to be able to perform effectively while considering green self-efficacy (Nisar, Zafar et al. 2017). The purpose of this chapter is to examine the impact of green transformational leadership on the organisational behaviour effectiveness of employees. Transformational leadership behaviour determines a number of outcomes that reflects leader effectiveness, control for the effect of transactional leadership. Transformational leadership are leaders that make their workers to be aware of their job and performance to the organization and also be aware of their own needs for personal growth and that will resulting in making the workers to give in their best for the organization (Katou & Budhwar, 2010). Transformational leadership styles help leaders or managers to be able to make changes in the organisation while necessary (Atiku, Chitakunye, & Fields, 2014). The leadership style in an organisation is a significant factor which influences the attainment of goals and objectives, as well as the day-to-day operations of the corporation. It is based on this notion that the current study seek to explore the relationship between transformational leadership style and employee performance. Nowadays, leadership is increasingly becoming very important due to the fact that it plays a pivotal role in achieving organisational success. 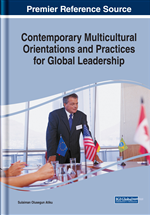 Haider and Riaz (2010) suggest that organisations all over the world are more concern with understanding, searching and developing leaders. Organisations irrespective of the size and nature leadership require leaders that will help in establishing high performing teams. According to Haider and Riaz (2010), the current competitive environment does not only requires having a competitive edge and sustained profitability, but also requires good leadership to stir the affairs. Several leadership approaches (transformational, transactional, charismatic and servant leadership) were developed in the last decades to assist organisations to achieve their desired objectives. Transformational leadership has been identified as the most effective leadership style or approach where the leader seeks to change the status quo by transforming the organisation (langston.edu). This style of leadership uses organisational mechanisms such as compensation, communication, organisational policies and procedures and methods to create dynamic empowering culture with characteristics of active, strong, and innovative ideas (Ahmad, Abbas, Latif & Rasheed, 2014). Transformational leadership style was coined by Burns in 1978 as an approach to leadership (Atiku et al. 2014; Ergeneli et al. 2012). It deals with strong personal identification by the leader, shared vision creation of the future, also a relationship that exists between leaders and followers that are based on the reward for compliance (Atiku et al. 2014; Ergeneli et al. 2012). Transformational leaders are seen as leaders for change, creating of new visions and mission; motivate commitment to the visions and mission, and influence employees and the organisation at large (Atiku et al. 2014; Ergeneli et al. 2012). Green Transformational Leadership Style: Behaviors of leaders who motivate followers to achieve environmental goals and inspire followers to perform beyond expected levels of environmental performance. Employee Empowerment: Giving employees a certain degree of autonomy and responsibility for decision-making regarding their specific organizational tasks. Democratic Leader: Also known as participative leadership or shared leadership, is a type of leadership style in which members of the group take a more participative role in the decision-making process. Employee Behavior: The way in which employees respond to specific circumstances or situations in the workplace. Authoritarian Leader: A leader that dictates policies and procedures, decides what goals are to be achieved, and directs and controls all activities without any meaningful participation by the subordinates. Organizational Citizenship Behavior: A discretionary job performance in which employees go beyond the prescribed job requirements that are not explicitly recognized by the formal reward system, and engage in helping behaviors aimed at individuals and the organization as a whole. Transformational Leadership Style: Is a leadership style that inspires positive changes in those who follow. Laissez-Faire Leader: Is a type of leadership style in which leaders are hands-off and allow the group members to take decisions.